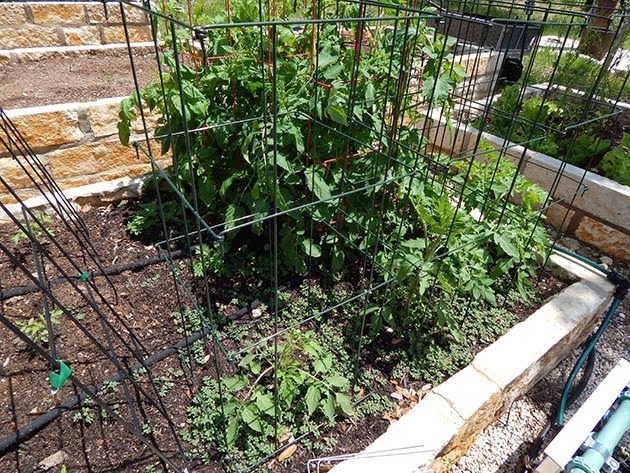 The trial and tribulations of growing veggies, herbs, fruit trees and other plants in Austin, TX - Hays Co. We grow in containers and raised beds, and utilize a rain water catchment system for watering our fruits and vegetables. 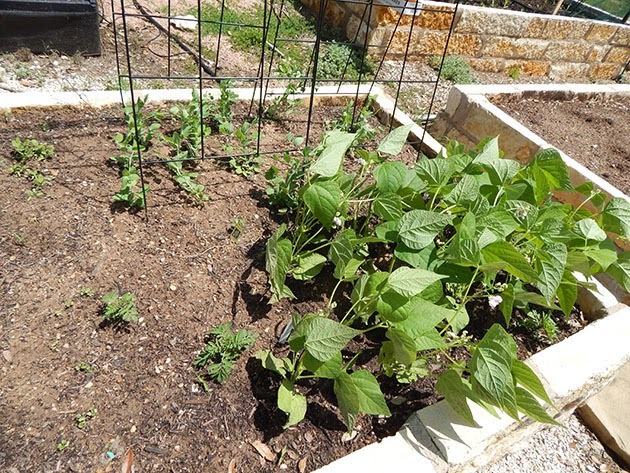 See how we grow our veggies for our health and for fun. Yes the garden is growing well. We had some rain last night and I'm sure the plants are happy. 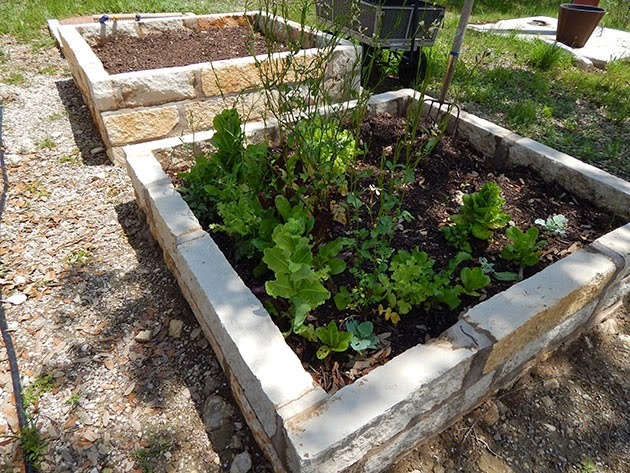 So here is how the garden is growing. 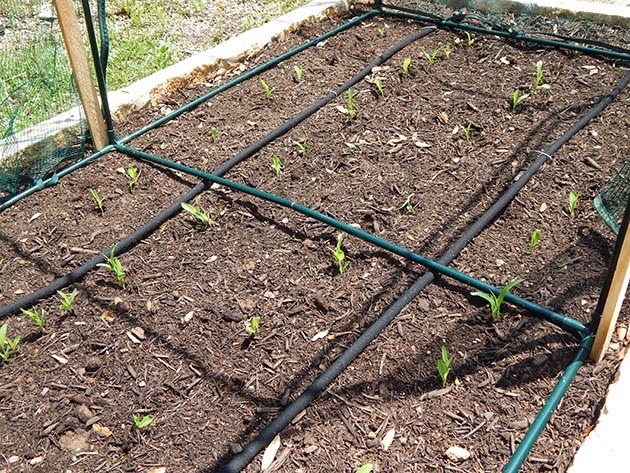 Yes, the corn is growing. 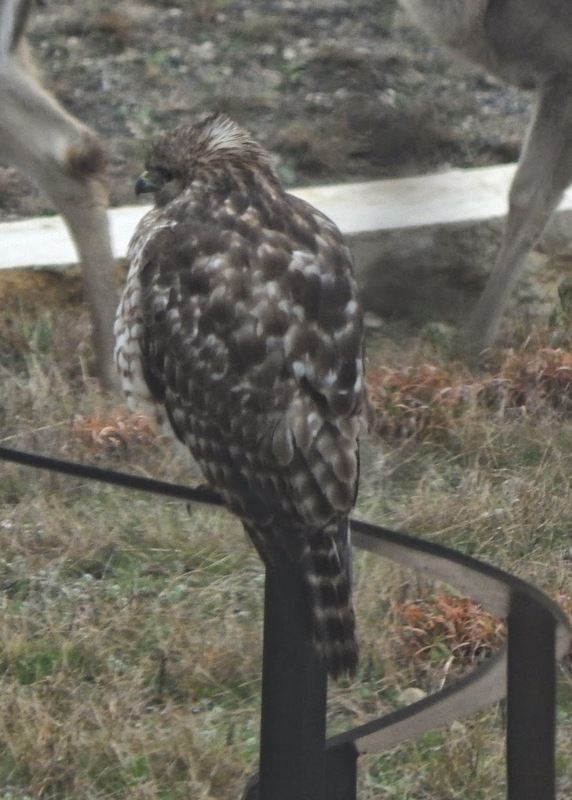 This hawk shows up sometimes and just sits on the hand rail. The peas and beans are doing well I think. The salad bowl. Want salad, go pick it. Yes fresh strawberries are great tasting. Tomatoes. What can we say. The big guys are from the store, the small guys are from seed. 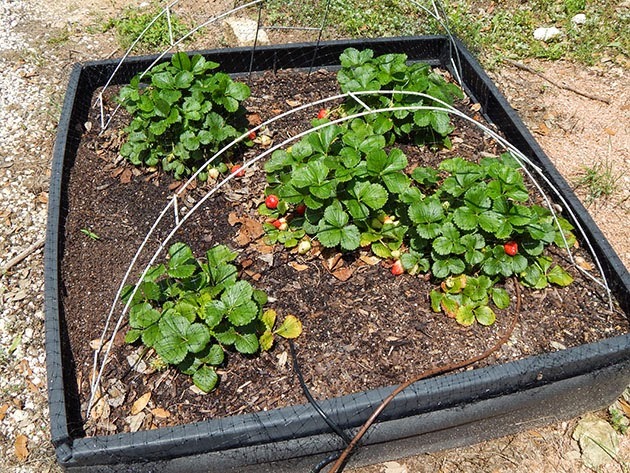 So, how does your garden grow? Well, I'm not moving but this blog is. I've had this blog now for quite a few years. I originally made it on Blogger as a free blog. Then I moved it to one of my domains. But now I have decided that its time for this blog/website to have a true home of its own. If you want to see the new site, you will find it at www.catsgarden.us. I have gotten most of the information from this site to the new one. For a while I will keep this site running while I make sure I have what I need on the other one. But if you want to see any new posts, you will have to go to the new site. This weather is making no sense. We had rain last week, then dry. Then this past weekend it began clouding over. Right now it is cloudy, kind of misty, but 68 with 91% humidity. At least the good thing is its nice weather for gardening. Not too cold, but not too hot either. I went over to my neighbor last week to see her iris' in bloom. She had given me some rhizomes last fall which I attempted to plant. Attempted since the deer insisted on pulling some of them put. Well, it appears they are growing. This one is blooming in my garden. 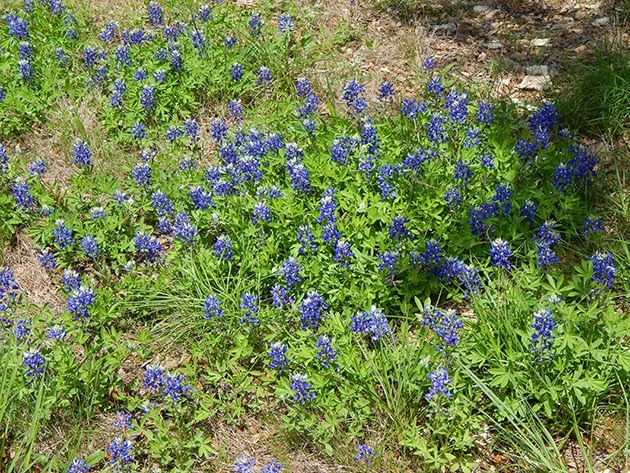 Some of the others have buds, but have not quite bloomed yet. We can hope. The roses I had purchased online are also blooming. Here's three of them. Right now they are in pots, that's the best I can do. But they seem happy. Hopefully soon they will get a better planting. The greenhouse has been well worth the time and trouble.